Illustration from the Uppsala University Library, Section for Maps and Images. How can he in Sweden be forgot? The envy of foreigners replace. Arise, and hasten, Sweden’s brightest! Lest his voice alone be heard! Linnaeus is presented here as one of the learned men who make Sweden renowned and admired by other countries. But what made his inventory-taking journeys so admirable? For one thing, people had started to think that scientists shouldn’t listen to what others had said so much, but rather make their own discoveries and think for themselves. And that’s precisely what Linnaeus did. He went out and saw with his own eyes and then sorted out all of his impressions according to a system of his own devising. Another reason was that natural science was regarded as more important than language, art, and history at this time. This was because the purpose of science was seen as finding practical applications for knowledge. The best thing was to be able to improve the material well-being of people—for example, finding out when to sow your rye to get the largest possible harvest. People were much more dependent on agriculture in the 18th century compared with today. A poor harvest meant going hungry. In Linnaeus’ day farmers used sometimes follow the advice of an almanac or constellations of stars when figuring the best time to sow. Linnaeus thought that, instead, they ought to keep an eye on the signs that nature provided—when the leaves came out on trees, for instance. Making observations in nature the way Linnaeus did was thus useful for the sustenance of society. 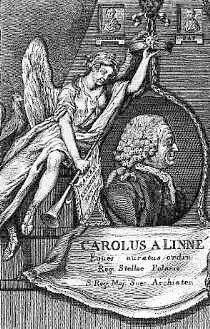 Nordenflycht urges Swedes to be inspired by Linnaeus. Envy him if you must, but do not for that sake forget to seek fame yourself. Learn from Linnaeus so that Sweden will acquire more geniuses. In other words, she assumes that certain people have the wherewithal to attain a higher level of wisdom, to become geniuses. Then the rest of us can admire them. And it is precisely Swedish geniuses she is looking for so that Swedish citizens can be proud of their country. In the middle of the 18th century Sweden was in fact known to be one of the leading research nations in Europe, after Britain and France. To speak, as Nordenflycht does, of geniuses with such adoration may seem alien to us today. Something must have changed in the 250 years that have passed since the poem was written. But what? Do we even talk about geniuses today? Maybe it’s only the word ‘genius’ that we don’t use? What people do we admire? Sports stars? Successful executives? Musicians? Why?